364 West 119th Street in Harlem purchased for rental redevelopment | HarlemGal Inc. In a news release issued today, Jasper Venture Group announced it has purchased a five-story, ten unit low-rise apartment building in Harlem for rental redevelopment. 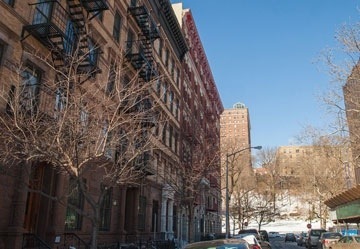 The property, located at 364 West 119th Street, is in Morningside Heights neighborhood adjacent to Morningside Park and Columbia University. 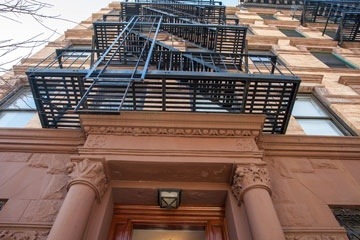 The location offers proximity to nearby Harlem restaurants, nightlife, and mass transit. According to the news release, the brick row house was originally built in 1910, and its facade retains desirable original architectural features, including ornate ironwork and stonework. Construction will begin in April, 2014. This entry was posted in apartments, business, Community, Harlem, Harlem bloggers, Harlem blogs, Harlem businesses, Harlem real estate,, Harlem restaurants, HarlemGal, Morningside Park, New York, New York City, NYC, real estate, restaurants and tagged 364 West 119th Street, @aharlemmommy, Columbia University, Harlem, Harlem apartments, Harlem Real Estate, HarlemGal, Jasper Venture Group, Morningside Heights, morningside park. Bookmark the permalink.